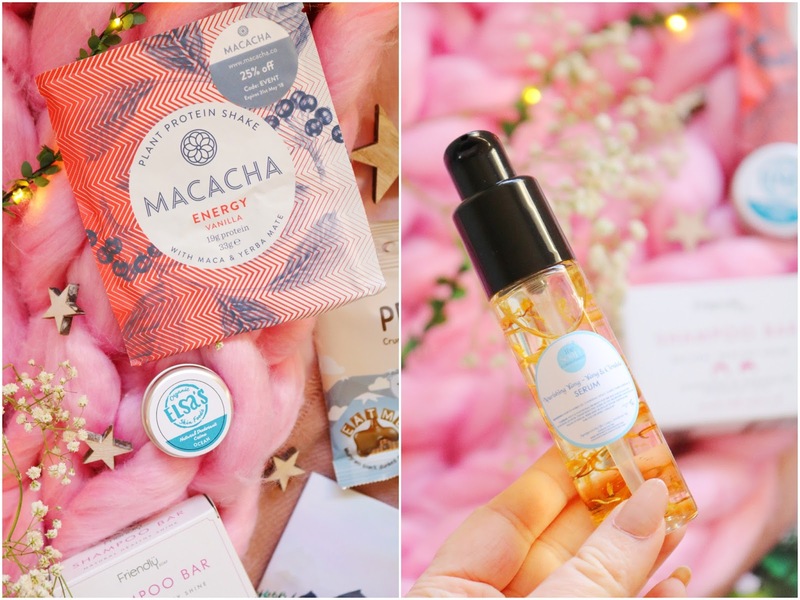 I have been lucky enough to review the past couple of LoxToxBox subscription boxes and I have genuinely loved all of them so I was excited to try the January box! It arrived this morning and I couldn't wait to see what items I've received in the box as they are always so diverse and unique, particularly compared to other subscription boxes which can be a little repetitive. The boxes are all focused on vegan/vegetarian products as well as environmentally, green and re-useable items. In addition to the items in the box, you'll also receive an email confirming that a tree has been planted with your purchase. 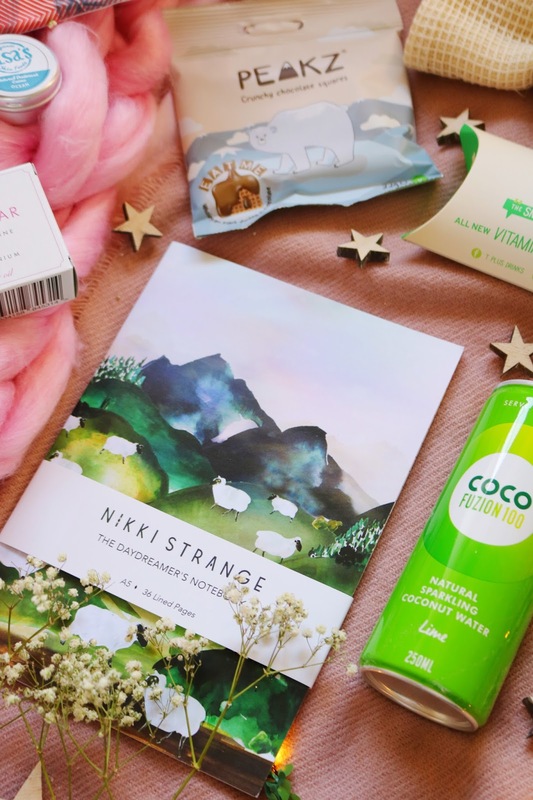 The January box contains nine items including snacks, drinks, skincare/toiletries and stationery. The January boxes are still available so go, go, go! Let's start with the item I'm least excited about to get it out of the way, it's the Macacha Vanilla Protein Powder with mace and yerba mate. I've tried a couple of protein powders and I'm personally not a fan so I probably won't try this but I love the packaging and you can use the code EVENT to get 25% off a Macacha until the 31st May 2018. Next up, the toiletries within the January box. The most interesting beauty item this month has to be the Friendly Soap Shampoo Bar which contains lavender and geranium essential oils as well as castor oil. All of their products are handmade, natural, vegan and cruelty free. It looks like a normal bar of soap but it smells heavenly and I cannot wait to use it as I love the Lush shampoo bars so I think I'll love this one too! The second beauty item is the Elsa's Organic Skin Foods Natural Deodorant Creme in the Ocean scent. I have tried a couple of natural deodorants including the La Vanilla deodorants. I love the scent of this one but I think it will be a little difficult to use because of the small container; however I'll give it a go. Lastly, is one of the most unique beauty products I've seen in a while and it's The Soap Connoisseur Ylang Ylang Serum which contains calendula petals! The product looks so pretty with the petals floating around into the serum. 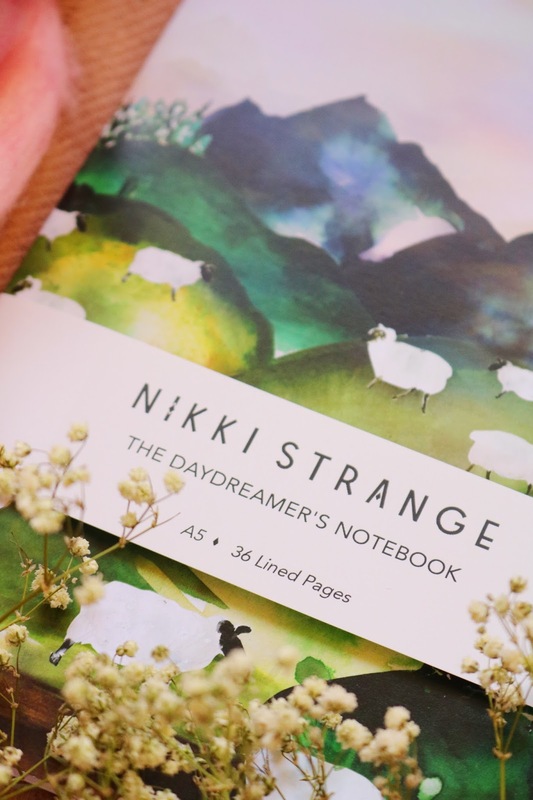 One of the most beautiful items in the box is the Nikki Stark 'The Day Dreamer's' Notebook which has a gorgeous design on the front of a English field with fluffy sheep. It's A5 sized and contains 36 listed pages. I've had one of these notebooks before and I love the designs so I'm glad to have another. 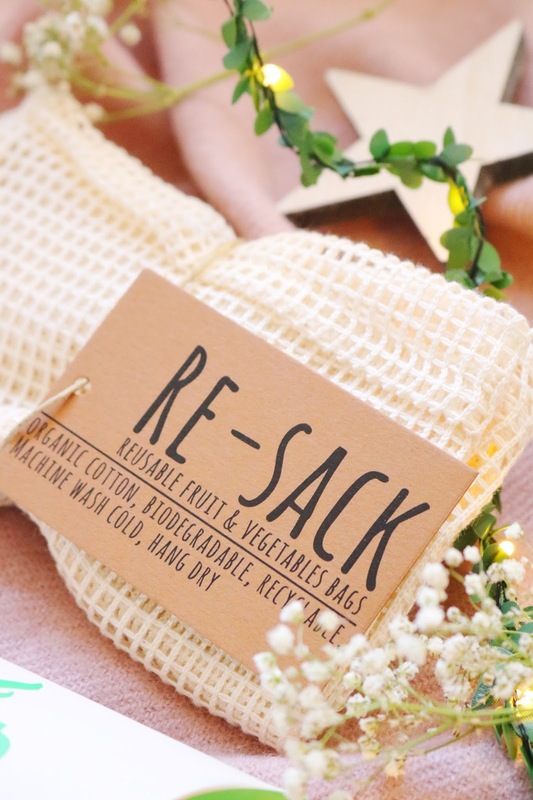 Another lifestyle item is the Re-Sack Re-useable Fruit and Vegetable Bag which is an organic cotton drawstring mesh bag that can be used for so many things, including groceries. The bag is biodegradable and recyclable as well as fairly large so it would be great for lose produce. It's also something I've never seen before but it will be very handy to keep in my bag. 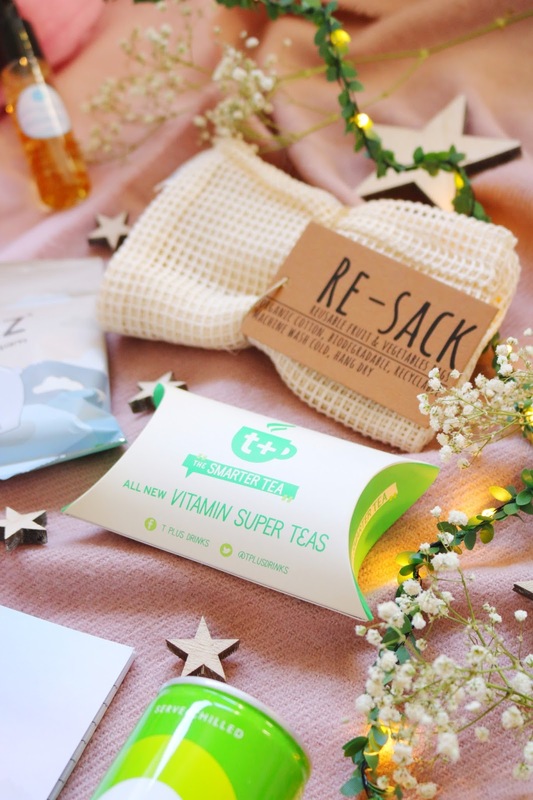 There are always a couple of drinks within the boxes and this month there is a pack of The Smart Tea Vitamin Super Teas which come in the cutest packaging. The pack contains four individually sealed teabags in detox, boost, multea, immunitea flavour options. The teas contain 50% RDA of nine of your daily vitamins, including B12 in each cup of tea which is amazing. The second and final drink is the surprisingly delicious Coco Fusion 100 Natural Sparkling Coconut Water and the flavour included in the box is lime. I have tried a few variations of coconut water and to be honest I haven't liked them that much but this one is the nicest I've tried so far - I love the lime flavour! The final item in the box has the most adorable packaging ever, mainly because it has a cute polar bear on the front. The Peakz Crunchy Chocolate Squares was the first snack I tried and they are so delicious, moreish and suitable for vegans. They have an unusual texture, they'd be great as an on the go snack and they aren't too calorific. I'd definitely recommend them along with the coconut water and lime drink. Overall, as with the previous two boxes I've tried, I'm so impressed with this box! Not just because of the wide range of items but they are well selected, they're always unique and from brands that I've never tried before. I love every item so far in the box with the only exception being the protein powder. If you are looking for an environmentally friendly, vegan subscription box then definitely check out LoxToxBox and their online store. Use the code: OFBEAUTYAND to get 20% off the LowToxBox shop! Have you tried anything from this box? What do you think of the January LowToxBox? Everything looks so pretty! I love your photos too! That looks great! I especially like the look of the little notebook with the sheep on it! So cute! I’ve not heard of this box but I love that it is vegan friendly. such a good concept behind the box! I think I may need to invest in this, it looks so good. That day dreamers notebook is just gorgeous!